This week takes us to Stern Pinball, headquartered on a non-descript industrial zone west of O’Hare in Elk Grove Village. Jumping in the car for the episode is Stern Marketing Director Zach Sharpe, who’s also the #1 pinball player in the world. For real. #1. 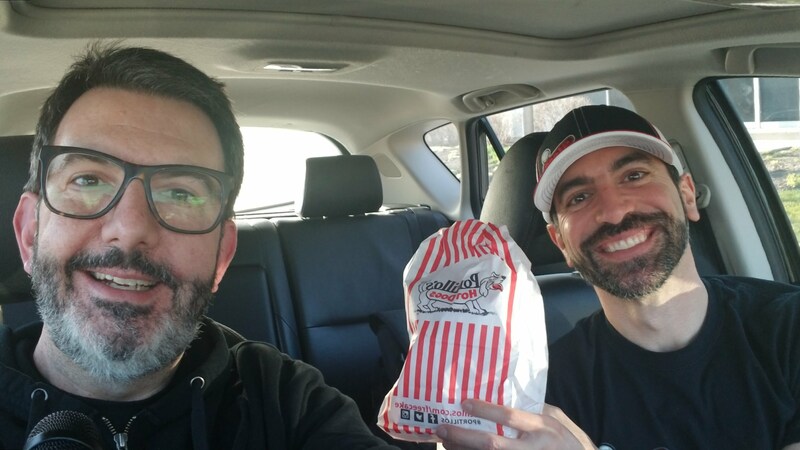 We got food from Portillo’s, because… Portillo’s. Stern owner Gary Stern walked past the Mazda 3, but didn’t stop to chat. The history of Stern as a pinball company, including early pinball games like Sea Witch and Stargazer. Stern’s work with rock bands: Iron Maiden (best game ever), AC/DC, Metallica, KISS, etc. How do bands respond when they first see “their” pinball games? The Batman ’66 pinball table. Who is the typical pinball client? How do you get good at pinball? What are some pro tips/baseline strategies? Don’t be afraid to TILT.